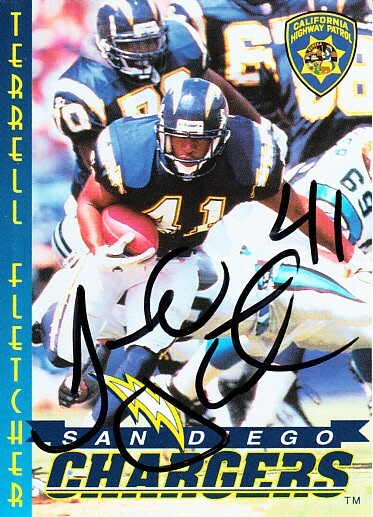 1997 San Diego Chargers California Highway Patrol (Police) football card autographed in black marker by former running back Terrell Fletcher. Obtained in person. With certificate of authenticity from AutographsForSale.com. ONLY 2 AVAILABLE FOR SALE.